Call Lotus Carpet Cleaning St Helens Park today on 0425029990 for Carpet Cleaning, sanitizing, deodorizing & Carpet Protection St Helens Park services. We have extensive experience for cleaning all types of carpets and provide high quality carpet cleaning services in St Helens Park. Nothing feels better under your feet or improves the look of your home like new carpeting. The number of people and pets in your household will determine how long your carpet looks and feels great, as everyday contaminants such as dirt, dander, hair and dust accumulate in the fibers. Bring new life back to your flooring with expert carpet care and cleaning from Lotus Carpet Cleaning St Helens Park. Applying the right method of cleaning to your carper is vital. Some methods leave residues that promote rapid re-soiling and spoil the appearance of your carpet. Our certified Carpet Cleaners St Helens Park are well trained and knowledgable for selecting correct Carpet cleaning method according to carpet materials. We are professionally equipped with the latest machinery and all the necessary chemicals, which are non-toxic and Eco friendly are specifically selected to best Carpet Cleaning services in St Helens Park to all of our customers. Lotus carpet cleaning St Helens Park team is fully trained and highly motivated in professional carpet cleaning, steam cleaning, dry cleaning and capet stain removal. We use the latest carpet cleaning equipment, materials and technics which will ensure that your carpets retain their optimal colour and appearance. Our carpet cleaner St Helens Park will visually inspect your carpet. They will identify potential permanent stains and give you evaluation of expected results. Our cleaning equipment combined with the unique cleaning process will ensure your carpets are thoroughly cleaned. Stain removal is part of our carpet cleaning services we offer to customers in St Helens Park. In case you wonder how to clean a carpet stain, call us on 0425 029 990 today. We, St Helens Park Carpet Cleaning services can send a team of expert carpet technicians and help you remove any spot or blemish off your home carpet. We provide stains removal services to both commercial and residential customers, in St Helens Park. These include professional removal of common stains, such as those made by pets, for example, as well as of industrial-strength. Residential carpet cleaning by Lotus cleaning St Helens Park service will bring back that fresh look your carpets once had. No matter the size of the home or the style of carpeting, we can deliver the highest quality carpet cleaning possible. We really care about the quality of our carpet cleaning, our professional technicians take extra time on your heavy traffic areas. With different grades and quality of carpet you can rest assure that our cleaning agents and products are designed to protect your carpeting. Removing foul odors and deep down ground in dirt is our specialty. We leave your home with clean carpets and a fresh scent that it’s allergy free. Here you can read about the whole procedure of Lotus Carpet Cleaning St Helens Park perform. Our team of professional Carpet cleaners St Helens Park handle a variety of commercial spaces. We work with large carpeted areas typically found in an office, and can readily handle as well. Each type of surface requires different handling, and our team is expertly trained in all types of carpet flooring so they know the best solution for each product. Our trained carpet cleaners St Helens Park will go over every square foot of your office to make sure that no spots or stains are missed. We are experts in carpet stain removal. For your convenience, you can schedule a cleaning appointment with us in 24/7. We service all across St Helens Park. Just call us on 0425 029 990 and we will take care of your carpets and make them look good as new again. At Lotus Carpet Cleaning St Helens Park we use modern Rotovac equipment and hot water extraction, the method preferred by most carpet manufacturers. Our cleaning agents are safe, gentle, and allergen-free. The carpet cleaning method we use is hot water extraction, also known as steam cleaning. This method is recommended by almost every carpet manufacturer. Our Carpet Steam Cleaning technicians will fully inspect your carpets before making a decision on the type of detergent to apply to a particular stain. If you have been searching for high quality Carpet Cleaning St Helens Park then you have come to the right place. Lotus Carpet Cleaning St Helens Park provides professional carpet steam cleaning services. On Site Carpet Cleaning St Helens Park, Call us now at 0425 029 990 to book carpet steam cleaning at the best price in St Helens Park! We also offer Same day Carpet Cleaning St Helens Park. At Lotus Carpet Cleaning St Helens Park our technicians are trained to take professional care with all kinds of rug cleaning – even those with the most delicate or expensive fibres. We carry a full range of specialised detergents to make sure your precious soft flooring will not be damaged in any way. We clean all types of Rugs of any fabrics. Lotus carpet cleaners St Helens Park will always arrive on time in your household or commercial property and save the time. The team here at Lotus Carpet Cleaning St Helens Park know the best ways to clean carpets, we know what the best methods of cleaning are and we know which products you should and shouldn’t be using. 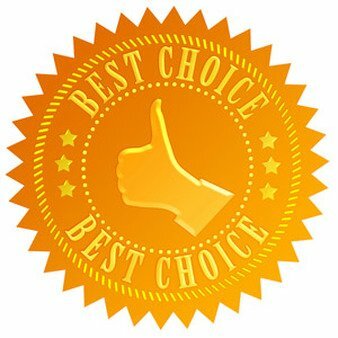 We strive to deliver quality carpet cleaning service in St Helens Park and win your trust by satisfying even the highest expectations of our customers because nothing is more important to us than your complete satisfaction. We only use environment friendly professional equipment, methods and products to ensure the safety of you, your visitors, your family and your pets. Fantastic Services, our expert Carpet Cleaners St Helens Park know the right cleaning methods and products to use to achieve the best quality results. All our professional carpet cleaning St Helens Park services are provided by staff that have been fully trained and certified by the experts.